My love towards faceted items finally could find a purpose. And also Latvian attachment to the oak. 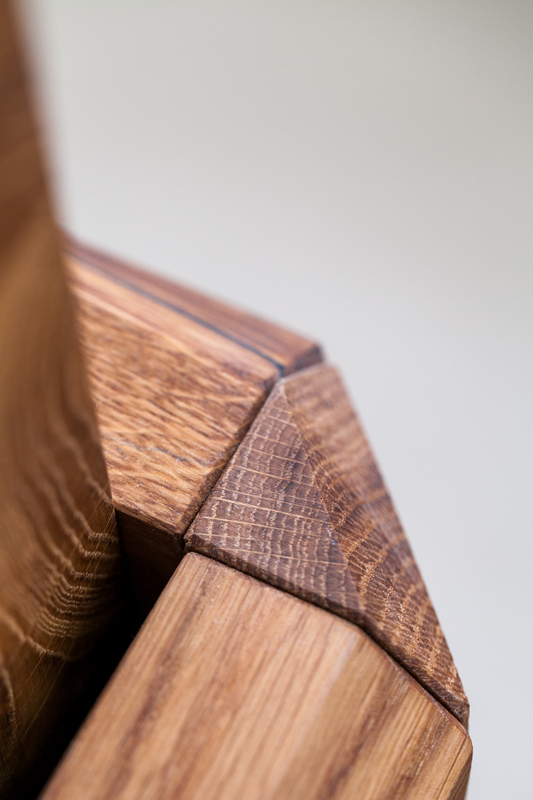 For me furniture of this wood has always seemed very heavy and thorough, however exactly oak is material Latvians love to choose for their homes. Probably it comes from the past when families were gathering around same oak table for generations. And using same oak beds for generations. Also on the Latvian money we had an oak tree. Now Latvian money is gone, but oak is still in our hearts. Heavens technologists firstly weren’t happy seeing small faceted corners in my plasticine model of the corner. I did not keep even picture of it. Plasticine models always look so ugly because of the stickiness of the material. But the main thing that it does it’s job. But at the end it turned out to be possible. 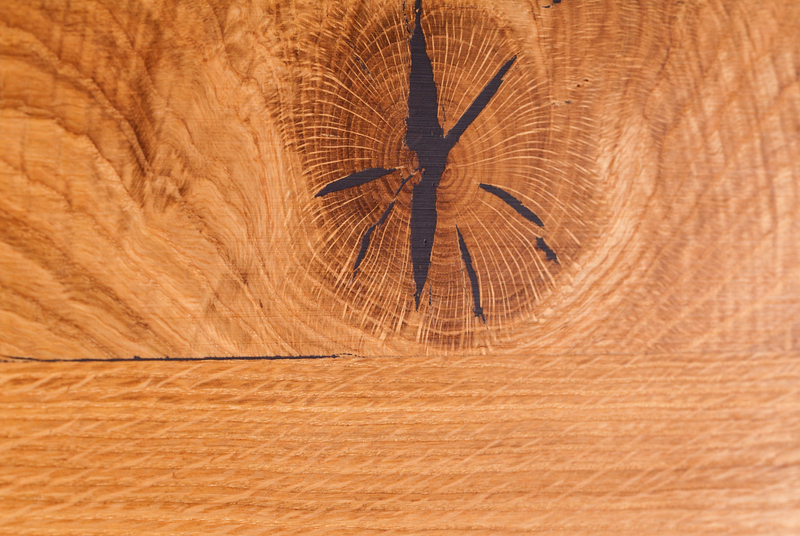 To tell the truth, working with the wild oak is quite tricky – even if grooves are covered with special putty – you never know what will it’s movements. It is still a wild oak. 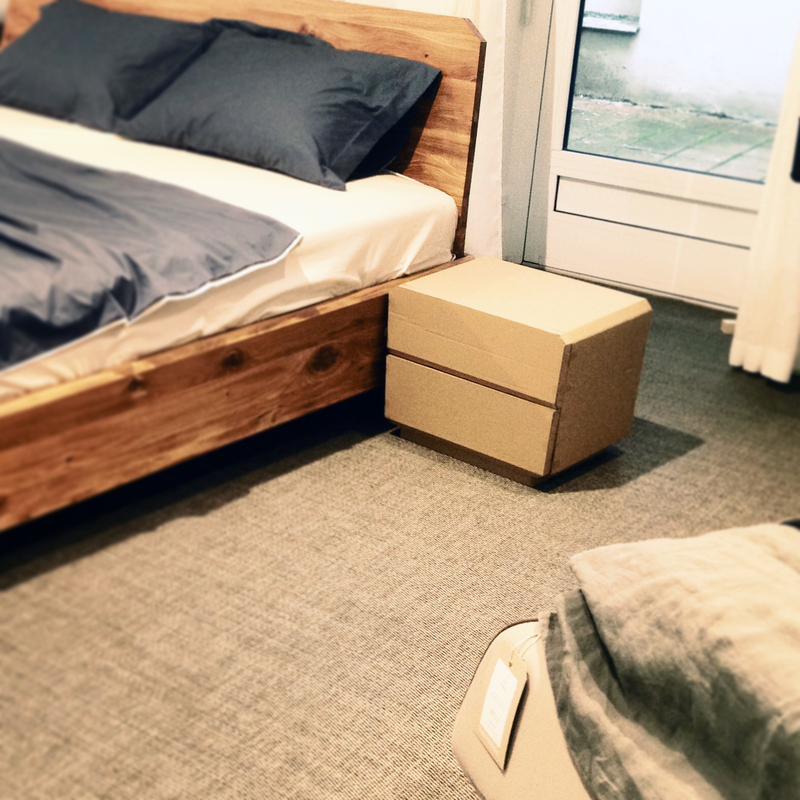 We had different versions for the night tables, but turned out that a very compact solution goes the best with the bed design. 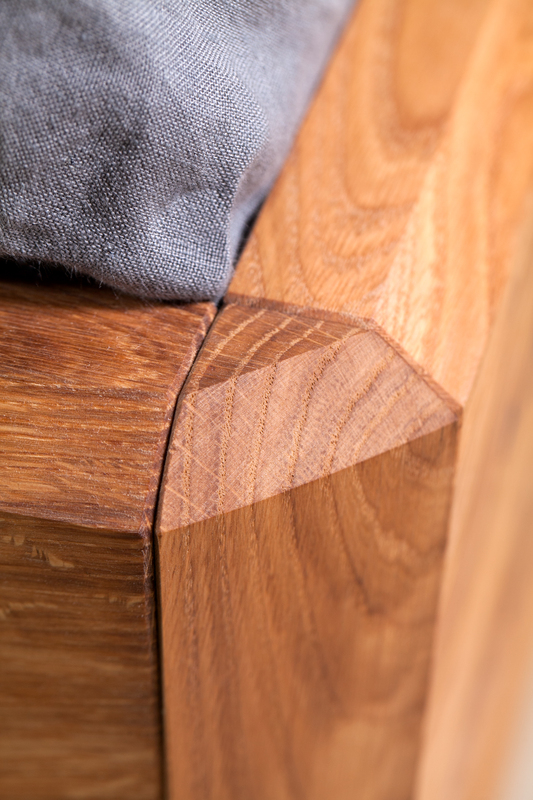 The solid wood appears nicely on faceted corners. 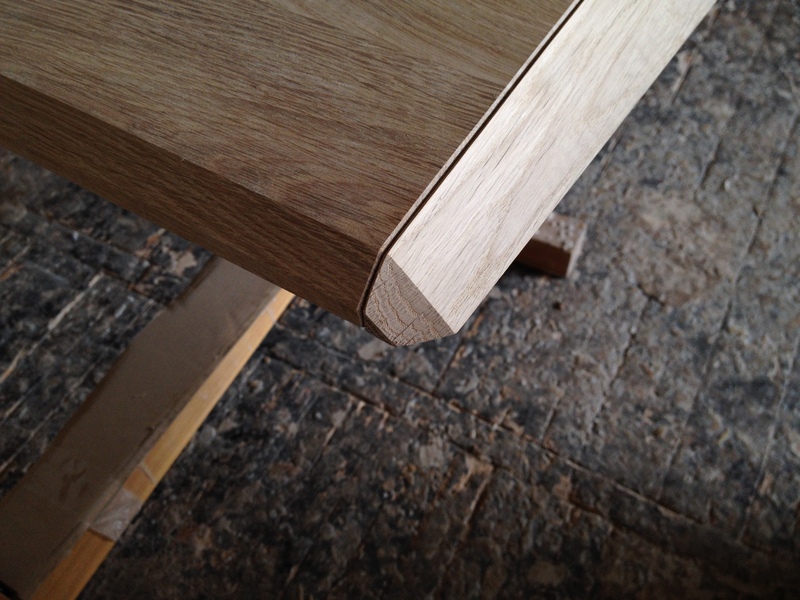 Even if, traditionally the end wood should not be visible in finished furniture, nowadays it has become a prove of solid wood furniture. 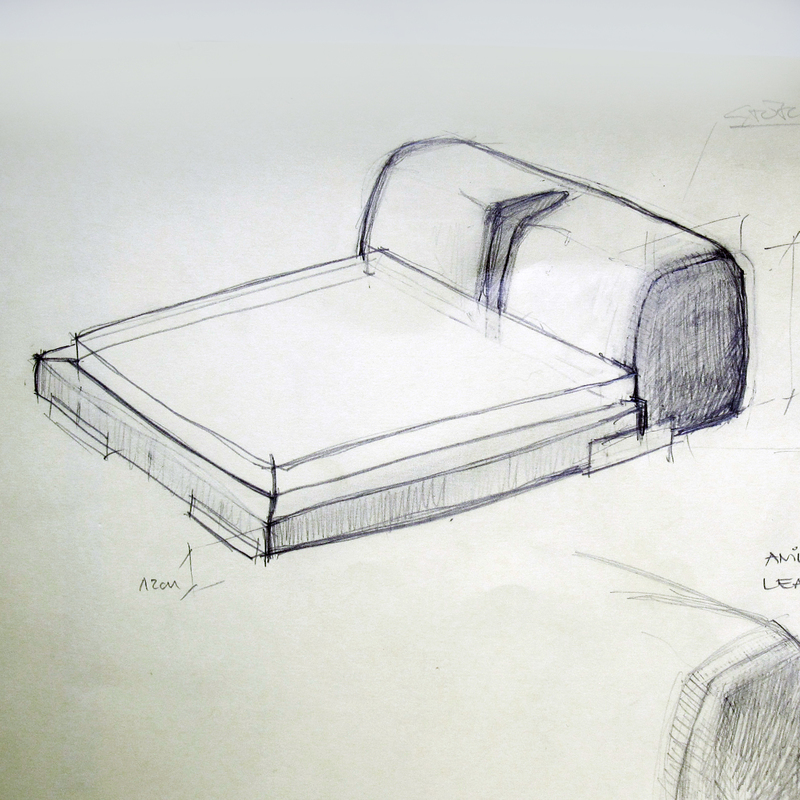 In summer 2011 my boss came up with the idea that should make a low leather bed. Luckily that week a quality natural leather distributor came to the Nakts Mēbeles showroom for a presentation. That was a good start for designing a new collection. 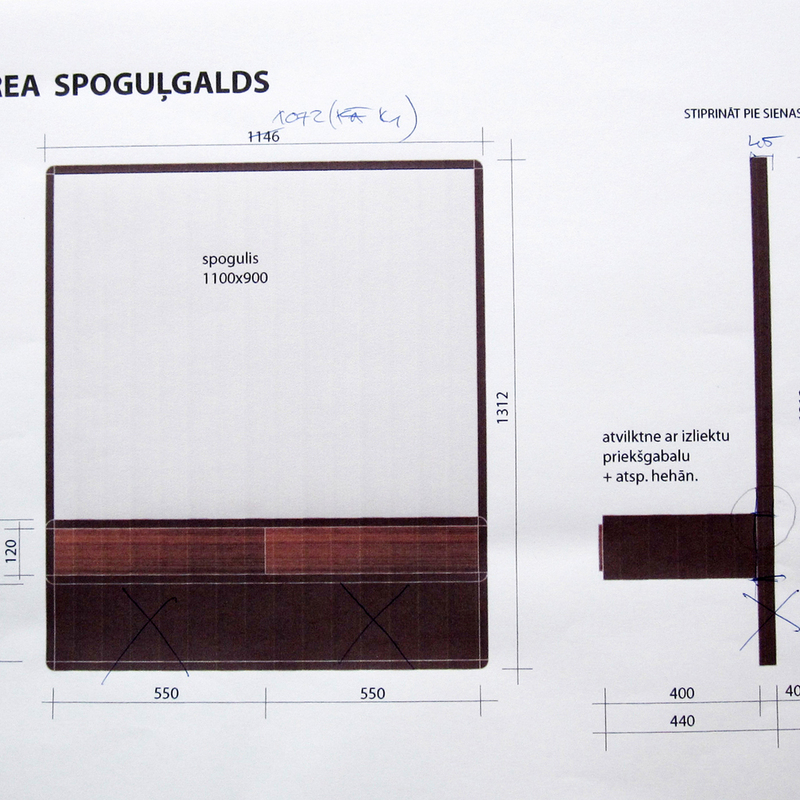 Firstly I made overall sketches how furniture might look like. Somehow the idea of a “bachelors bed” was in my mind. Something similar to ageing leather couch that is one of the most reliable friends of the real bachelor. Also for the drawer chest I wanted to keep the simplicity in the design, more focusing on volumes and material, not going into details as handles. 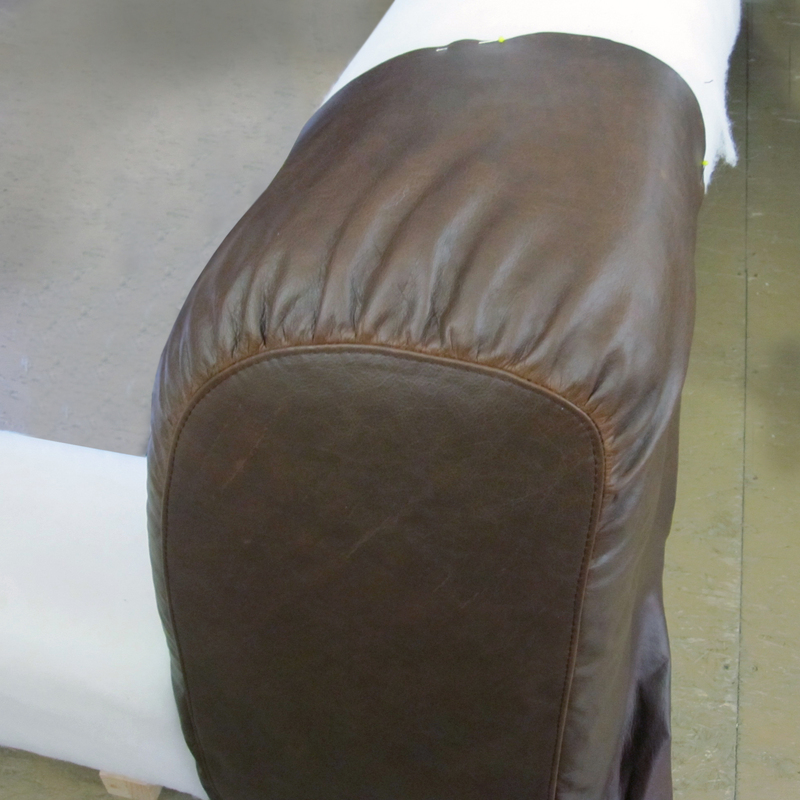 After that we made several mockups and detail tryouts in the upholstery factory. 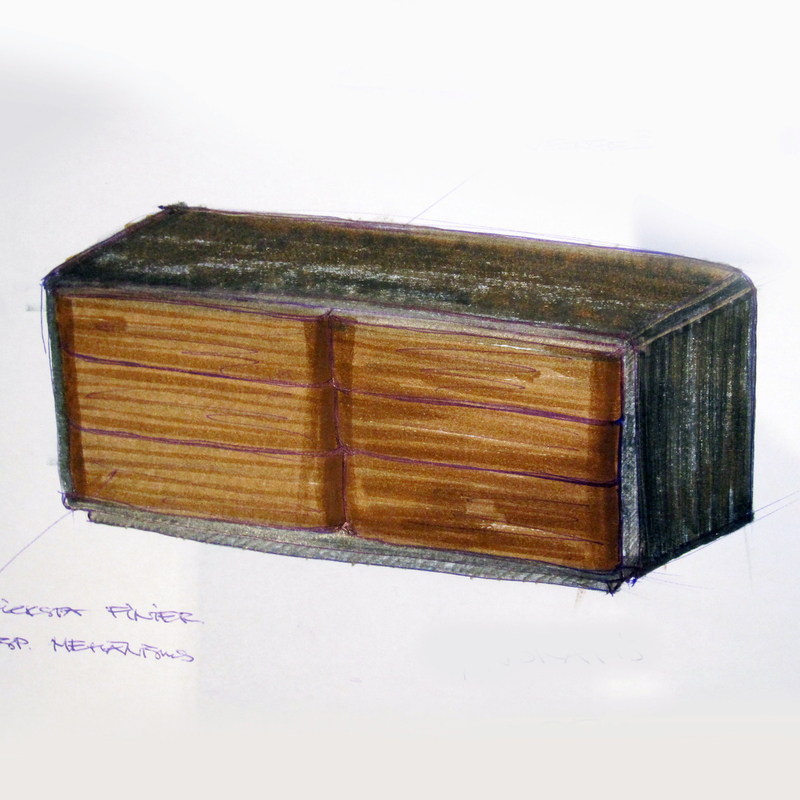 Meanwhile I was drawing other furniture pieces of the collection: a nightstand, 3 drawer chests and a dressing table. 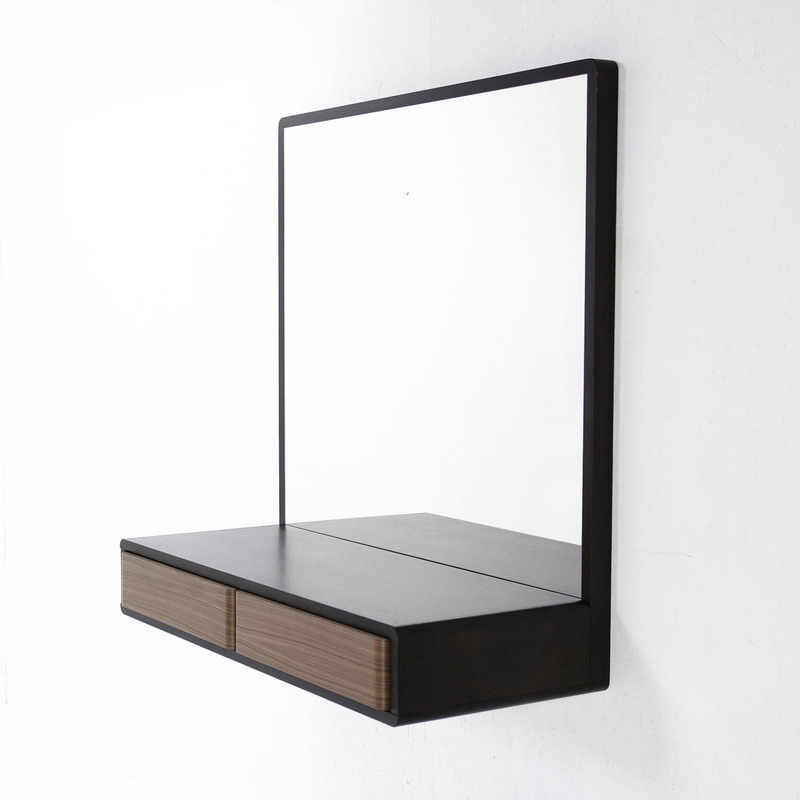 For my feminine part of a designer it was special to think – what are the qualities for a dressing table that are important for me? It is to see myself very well and to have enough space for legs, while sitting at the mirror. These functions I was implementing in the design. 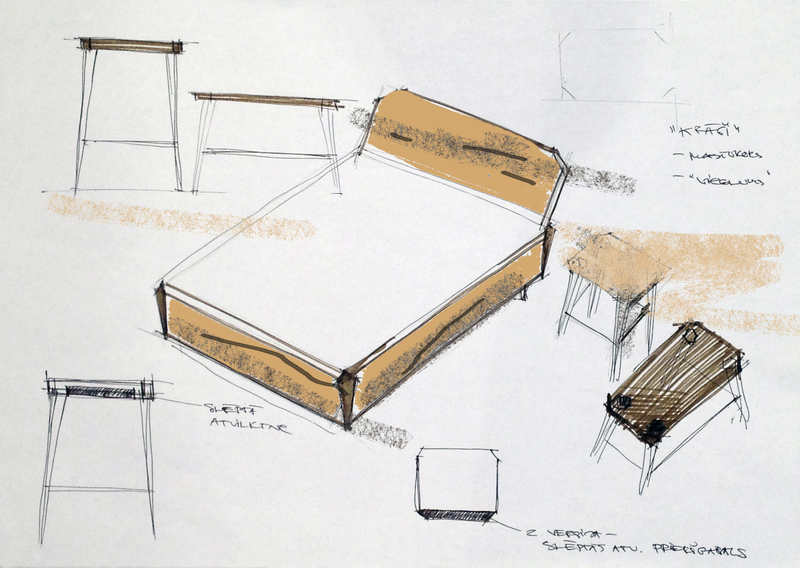 Choice of the materials for other furniture of the collection was mainly influenced by the pull up aniline leather we used for the bed. 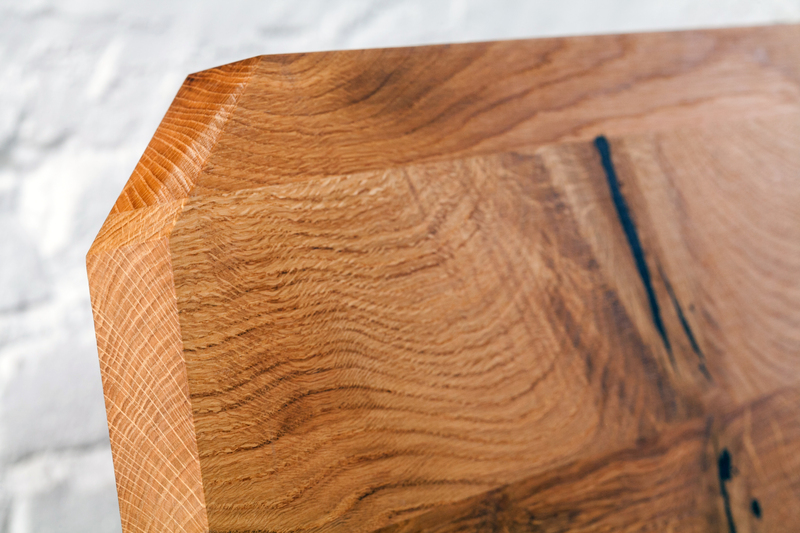 American walnut plus oak stained wenge is a classy, but not a boring choice. Collection was finished by Nakts Mēbeles and is a collection of the year 2012. Have heard some people saying that “this looks Italian”, but it is all designed and made in Latvia. And finding its place at homes now. 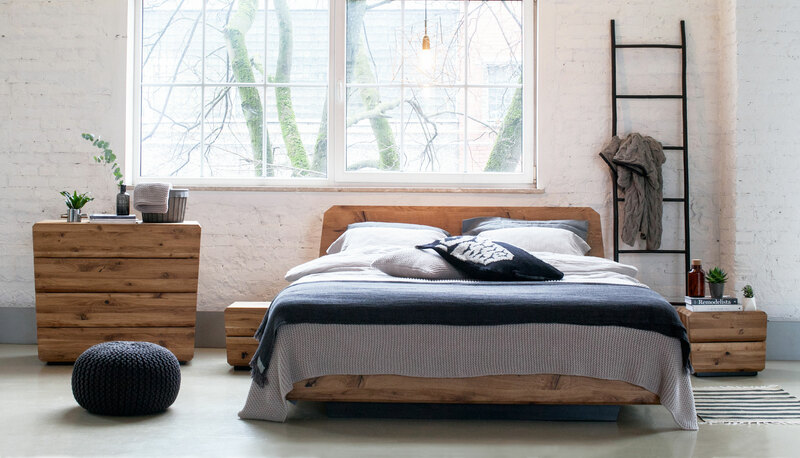 Interesting, if there is any any bachelor who owns this bed already?